Many of our attenders appreciate the “in and out” brevity of our 60 minute early service because it leaves the rest of the Sunday free for them to do other things. Others value the sacred experience of traditional hymns and organ music and the liturgical robes and more formal approach to worship. Our Celebration Service at 11am is most popular for a variety of reasons, including the Choir, the Contemporary Christian Praise and Worship, the casual attire (although that is welcome at all of our services) and the other celebrations that go on within this service, testimonials, baptisms, etc. This service lasts approximately 90 minutes. 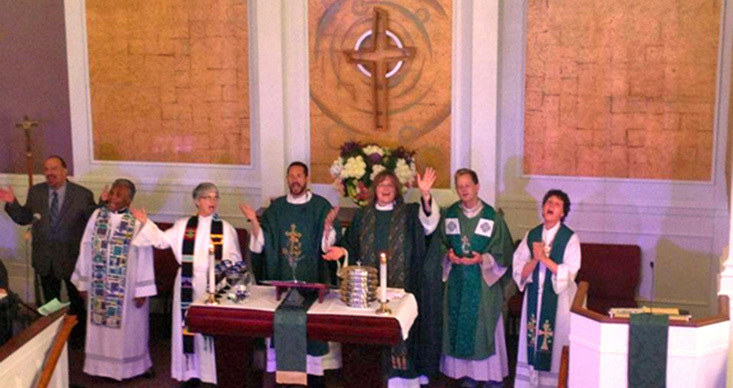 Our Spanish-Speaking congregation celebrates worship with the same intensity and fervor as our 11am Celebration Service but also includes the more traditional, Catholic-feeling liturgy which is popular in Hispanic cultures. You will find an energetic full band and choir there with passionate prayers, preaching and communion, all in the Spanish language. This service lasts approximately 90 minutes, and is generally followed with food and fellowship. Don’t forget…you can always worship with us “live” on Sundays from your home since we have live streaming video of our worship services. You can also view us any time during the week by selecting from our archived webcasts.